Many DCJR vehicles for sale near Kansas City come equipped with the Uconnect® infotainment system—but what is Uconnect®, and how do I set up Uconnect® on my vehicle? 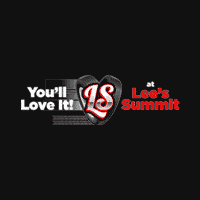 Learn more at Lee's Summit Dodge Chrysler Jeep Ram in Lee's Summit, MO. How Do I Set Up Uconnect®? Push the Uconnect® button on the touchscreen or steering wheel. Wait for the prompt, and then say, “setup” and “phone pairing”. Enter the default PIN number—either 0000 or the number specified in your owner’s manual. State a preferred name for your phone. Set your phone as the priority phone. Pick up your phone and find the Bluetooth® menu and make sure it is enabled. Command your phone to locate a new device. Select Uconnect® on your smartphone. Enter 4-digit pin displayed for the Uconnect® system. Make your way from Gladstone to check out our selection of CDJR vehicles equipped with Uconnect®, as well as trucks with features you can’t live without! If you still have questions about how to set up Uconnect® or our available offers and incentives, feel free to contact us today!